LED lights have many applications and impact our lives on a daily basis. There are certain LED (Light Emitting Diode) products that have been used for quite some time and newer uses are being integrated every year. They started out as a brightly lit readout on a calculator or clock and moved on to Christmas and other forms of lighting. These kinds of lights have been perfected over time as more and more are being used for a variety of things. When you think of all the uses for lighting you will get a more familiar view of just how many targeted niches of the LED lights niche there are. This is a good thing because it gives you a lot to choose from and to carve out your authority in your sub niche. Before you start out, do you think you want to promote the lights themselves, or a niche that uses the lights heavily in its application? For example, replacement car and motorcycle headlights would use a specific type of LEDs, but not necessarily only talk about them. An advantage of this somewhat broad niche, still in its growing phase, is the large selection of affiliate programs offering LED light products. 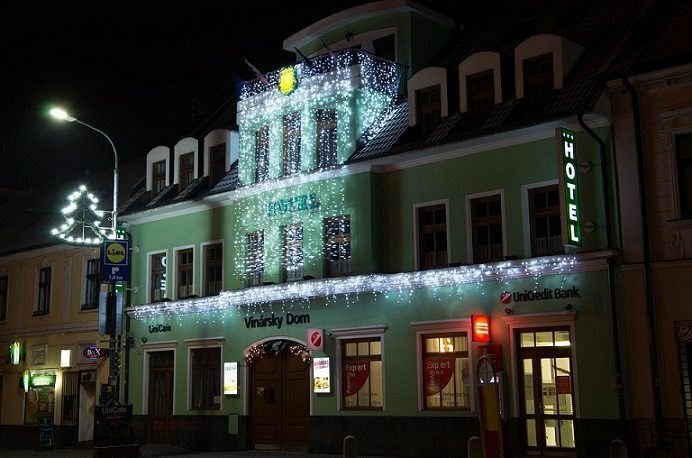 After all, the use of lights of any kind spans the realms of personal, commercial and industrial applications from the smallest pen light to the larger LED signage and mass lighting of public places. Most people have since upgraded their household lighting from the older higher energy using incandescent light bulbs to more energy efficient varieties. “Upgrade Your House”, or “Energy Efficient Homes” are two awesome potential website ideas to run with Though the current widespread use of CFL bulbs has reduced energy bills, LED bulbs are starting to be used more so and have a higher efficiency rating. Here are two other popular areas of LED use. Automobiles started using halogen headlights several years ago to make it easier to see further when driving at night. Now many cars and trucks, especially on import vehicles, are using LED headlights to make it even brighter. Have you ever seen headlights with tiny bright lights around the perimeter of the headlight lens? Those are LED headlights. And for better visibility from the rear, some from the factory vehicles are using them as brighter tail lights too. Then another popular area which I just helped my friends install all over their property are solar powered LED lights for their garden, patio, walkway and driveway. At night the driveway looks like a curvy landing strips. It's pretty cool actually! Though the uses for LED lights are plentiful when it comes to making a dark area brighter, these powerful lights are used for other purposes as well. A very popular area which I will touch on in just a bit, is that of grow lights for hydroponics, and then there is the medically approved use for the healing of certain skin conditions using LED light therapy. I bet you are probably realizing by now the many different sub niches that can be applied for the overall niche of LED lights. The 5 graphs above represent LED light sub niches you can choose for the direction of your website. Below is a list of a dozen more for you to choose. There are several more sub niches available but you can easily find them on your own. 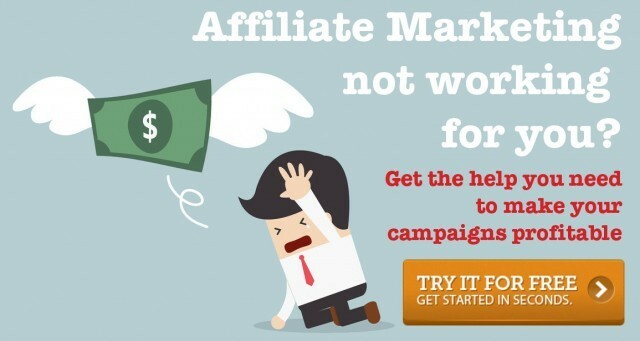 And when it comes to finding both affiliate programs and keywords, you shouldn’t have any problems. Doing a search for types of lights preceded by “LED” and you will find many highly searched keywords. Be a bit more specific and you will find many low competition keywords. With the following affiliate programs I found that with the growing popularity in the use of LED lights, more and more products are utilizing this lighting technology. Thus in turn some lighting companies are now selling LED lighting exclusively and their use in other applications are growing as well. After all, lighting is not just beneficial to humans. One of the things I enjoy about doing these affiliate niche research posts are the new things I learn with the various items being researched. For instance below, one of the affiliate programs sells a unique underwater LED lighting system that are not so much for humans or the ever growing hydroponics niche, but for attracting all kinds of fish making fishing easier. As revolutionary as LED lights are there still seems to be companies that have not yet started to include them in their catalog of products. But of the programs listed below about half are selling mostly if not exclusively, LED lighting. I have chosen a broad range of affiliate programs based on what they sell and of course their affiliate commissions and cookie durations. Comments: SuperGrowLED.com, a California based company has over ten years-experience in the manufacture of solid state LED lighting products. They have engineered indoor and outdoor LED lighting in support of technical and hospitality industries and the manipulation of algae and botanicals that provide full life-cycle function, from seed to harvest, for almost any plant. Their grow lights have also helped wildlife conservation such as Turtle Hatchling Population Restoration. With more and more people growing fruits, vegetables, herbs, and other plant life indoors, the LED grow lights industry is booming. It is for this reason and the average high cost of grow lights that has led me to select SuperGrowLED.com as my number 1 selection. I found their website to be quite informative with usage tips for their grow lights and affiliate details, like their 10% commission and 90 day cookie, were easy to find. Comments: MaxximaStyle is a division of Panor Corporation, and has been providing customers the highest quality products for over 30 years. Maxxima LED Lighting products cover the transportation, interior, exterior, industrial, emergency and personal lighting markets. LED lamps are revolutionizing the lighting market, seeing that they emit a very intense glow which is brighter than regular lighting. They also consume 1/10th the power of conventional bulbs and have a longer lifetime. I have chosen them as my number 2 selection mainly because out of every other affiliate program listed here, all of the lights they sell are LED. No incandescent, no halogen, and no CFL. In addition to their easy to use website with energy saving information and their many positive customer testimonials, Maxxima LED Lighting also provides excellent service to their affiliates and offer 15% commissions and a 30 day referral cookie. Comments: For the most part I tend to highlight smaller and less global companies in my top three selections, mainly because their affiliate details tend to be better. But there are times like this one where I will select a major retailer like Amazon as an affiliate program to join. Even though their commissions are at best average and their referral cookie is only 24 hours, there is no denying that Amazon has almost every LED lighting product available online. Another reason I have chosen Amazon as my number 3 selection has to do with how they pay their affiliates. The majority of people who buy on Amazon will buy more than one product. Amazon will pay its affiliates based on the total amount of the referral's order. This means that as an Amazon affiliate you will get paid on whatever LED light and/or other items that are purchased through your affiliate link. With the plethora of more-targeted niche ideas, you may wonder which direction to start your website. I personally would first determine if any of the sub niches I could identify with and if not I would do some research into an area that I feel would be of interest to me. Earlier in this post I mentioned a very popular sub niche and the graph below shows its interest. For decades people have been growing their own food and plant life indoors, but about 8 years ago when technology in grow lights improved, so did their sales. Then in the beginning of 2015 when even more cannabis growing facilities here in the United States were legalized, interest and sales have gone up again. Of course, grow lights can be used for more than Mary Jane! Preppers (for the Apocalypse or other natural disasters) also have a strong interest in gardening indoors! With just a little bit of research I can see how this sub niche will only continue to rise. With the many documented medicinal uses for hemp and CBD hemp oil, legal growing facilities catering totally for this are on the rise. As of March 2016, 34 of the 50 United States have legal laws to grow medical cannabis and 5 for recreational use, with many more looking to do the same. Aside from the cannabis market, more and more farmers and people in general are growing more foods and flowering plants indoors. Creating enough food to feed our growing population is a real challenge, and vertical farming is a new concept that's being passed around as a potential solution. With all of these areas just begging for grow lights that range from $150.00 for a small personalized size to $1000.00 and more for industrial use, grow lights is a sub niche that I can foresee will to grow and be profitable. Are you ready to get started in this still-growing and changing niche of LED lights? With the many applications for this type of lighting, and its popularity on the rise, this I feel like this is a very exciting opportunity to jump into. Newbies are always afraid that they “started too late” and missed out on all the affiliate profits. I hope with the research above, you can see that there is always going to be new opportunities to take advantage of if you learn affiliate marketing. If you are interested in starting your own affiliate website, on any topic, I highly recommend getting some easy-to-understand training I used to get started a few years ago (it's been updated since then). This training takes place all online, at your own pace, and has a consistent track record for success. This training is available exclusively at Wealthy Affiliate. There is no need to be tech savvy or a computer nerd to succeed in this training, and you will have plenty of help and support from the community as you build your online business. Personalized, friendly support is really what sets this community apart from any other type of online affiliate training. In addition you will have me to help guide you and you can always leave your questions below. Being a long time member of Wealthy Affiliate, I will be available to you for guidance. To get started now, click the image below.